I love social media, but boy it is tough to keep track of. With Facebook, Twitter, Instagram, Pinterest, Tumblr, Google+ all vying for attention, you need a better way to manage your social presence. You need a way to tune out the noise, stay focused, and measure everything precisely. So we’ve put together a concise list here at Bitcatcha. Here are the 13 most powerful social media tools you’ll need in 2016. 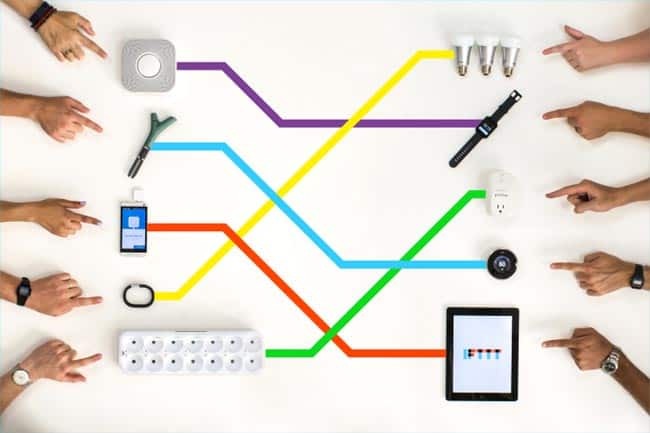 Buffer does one simple thing, and it does it better than any other tool on the internet. It schedules your social media posts. Simple, clean, brilliant. The thing about social media is that you don’t want to be diving in and out of it all day. You get distracted, you get lost in a rabbit hole of content and cat videos. Instead, take half an hour to schedule an entire week’s worth of posts. Oh, and there’s one more thing I love about Buffer. When you see something you like online – a blog or photo etc – you can click the ‘Buffer’ button, and schedule a tweet about it. Great for when you see something to share, but no-one else is online. Hootsuite makes you feel a bit like an evil genius. It lets you manage and control countless social media accounts all at once. There’s a fantastic, wide dashboard where you can see your mentions, interactions, and statistics. Personally I use Buffer to schedule and post on my socials. But I use Hootsuite to watch and monitor what’s going on. I use the dark design, and it’s like operating the Death Star. 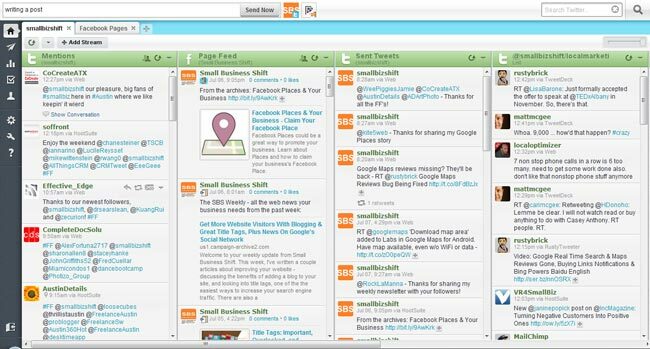 Social Flow is probably the best package on the market. But there’s a downside, it costs a fortune. This is pro package, and it’s designed for medium-large sized businesses. 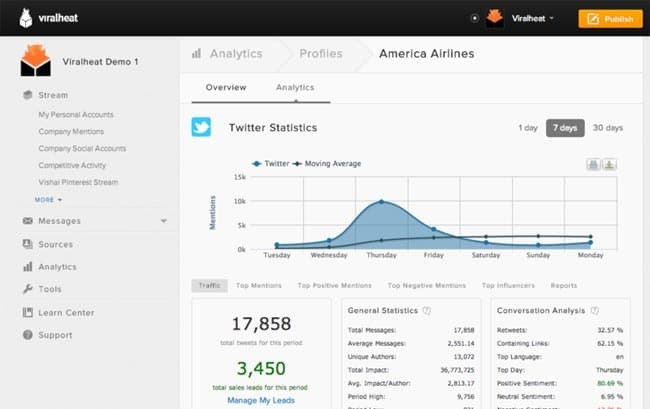 Social Flow’s unique feature is the ability to analyse your entire social audience. 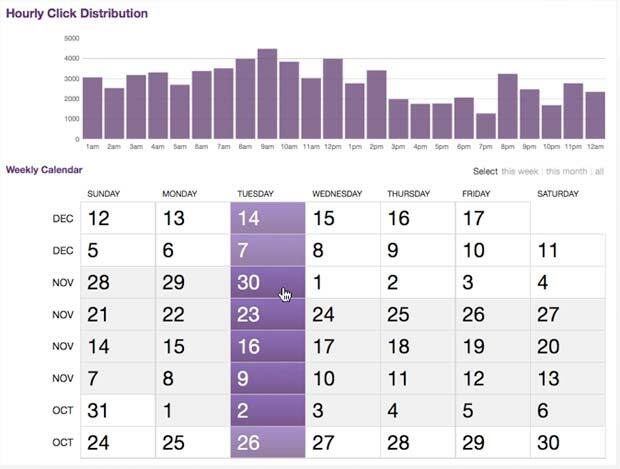 With this data, it then chooses the exact right moment to post content. And it chooses the best content for people online right now. But, there’s something more important than your follower numbers: your authority. Klout gives you a score (out of 100) based on how influential your social media presence is. It also highlights which topics you are most influential in. Use this to make sure you’re an authority in your industry. This is another pro tool, and so it comes with a pricetag. But the reasonable $9 per month makes it quite worthwhile. Crowdbooster is a social media dashboard, and it does lots of things well (including scheduling, tracking etc.) But, the real plus point here is its monitoring. It produces awesome graphs using real time data. 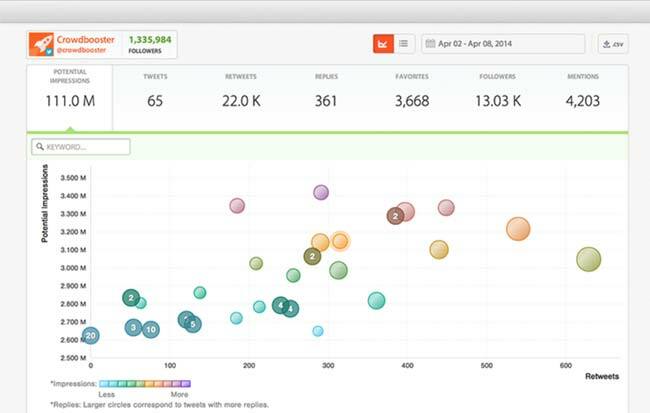 It’s probably the best way to monitor and measure all your social media channels. Viralheat (now Cision Social Edition) is a little like Crowdbooster. It’s a software with a nice, simple dashboard. It publishes posts and collects analytics and data. It’s best feature, however, is tracking exactly who’s talking about you. Use it to monitor all the conversations about you across Facebook, Twitter, Google+, Pinterest, Instagram, Tumblr etc. It helps you get a sense of what people are saying about your business. Are you reaching the right people? How are you perceived? Viralheat answers these questions. TagBoard works wonders when tracking your company name and hashtags. Type your keyword into the box, and it gives you a beautiful, real-time display of what’s going on. It works across most of the major social media channels. It’s perfect if you’re running a competition, and need to track hashtag entries. Or if you just want to keep an eye on your mentions across the board. My favourite feature of TagBoard is the ‘positive-negative’ scale. It lets you know how people are talking about your brand! Are you loved, or hated? Have you ever wondered which of your blog posts was the most popular on social media? Use Buzzsumo to find out. It’s super easy. All you do is type in your web address. Buzzsumo will list your most popular articles or pages with a breakdown of how and where it was shared. You can even see who linked back to it. Enter your competitor’s addresses to see what content works best for them! You’ve probably noticed that lots of your users or customers are now using social media for support queries. They’ll tweet in questions, suggestions, and problems. It’s not easy to keep track of all this, which is why Sprout Social is so great. 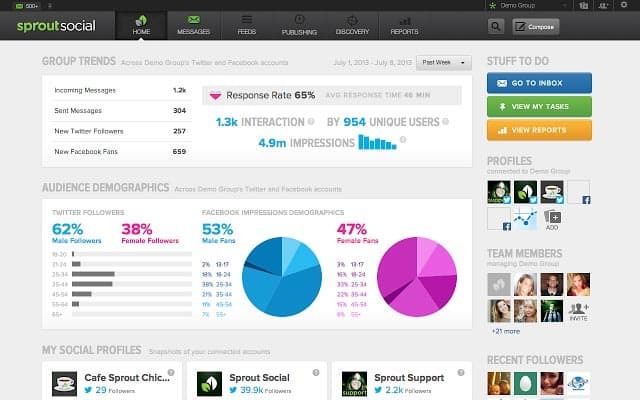 It’s another multi-purpose social dashboard, but it’s the support function that makes it stand out. You can track support queries, and instantly assign them to one of your development team. It’s the most simple way to deal with social media support. But we’re not all graphic designers, and we haven’t all got time to create images and edit photos for each and every tweet. That’s why Canva is brilliant. It has hundreds of quick templates that will quickly make you a motivational quote image, a poster, or just about anything else. The only way to explain this tool is with an example. Or: “If [colleague name] emails about a meeting, save it in the calendar”. There are literally thousands of connections you can make. It will streamline your whole content and social media strategy. There’s not much to say about this one. It’s still the best service on the web for shortening long, ugly urls. It’s perfect for Twitter where you’ve only got 140 characters to play with. The best part is that it tracks and analyses every single click, so data nerds can gather tons of data about who’s clicking through to your site. 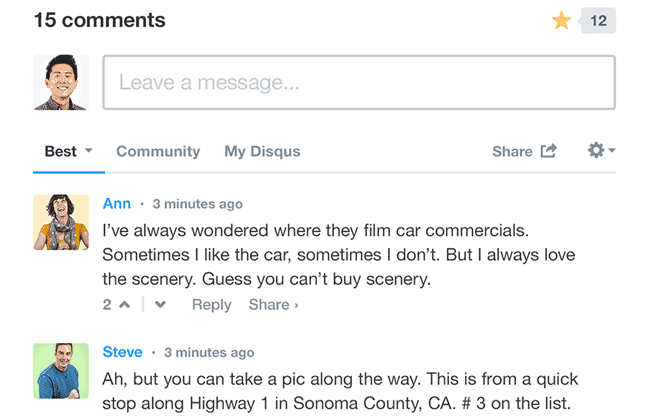 Commenting is an inherently social activity, so it makes sense that people use Facebook rather than the built-in blog comment system. It’s a simple plugin that will turn your blog into a real conversation. It’s much more social, and readers are more likely to comment, as it’s a familiar platform. Phew, that’s a whole lot of social tools. Have I missed any out? Are there any social media tools or software that you couldn’t live without? Let me know!